Boomerang Europe: New Episodes of Garfield in September! Everyone's favourite fat cat , Garfield, returns to Boomerang this September. Odie’s birthday party turns into a monster problem when Garfield messes up the recipe and unleashes evil King Cake on the town. Then Eddie Gourmand starts a theme park made out of cheese, and Garfield has to battle the bouncer to help Squeek and his friends get in. The food fight really gets heated when Nermal bets Garfield that he won’t eat for a whole hour. 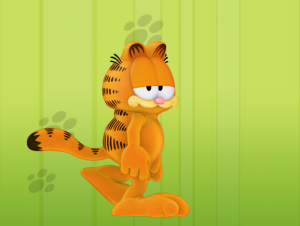 Find out who breaks down and raids the fridge in the new episodes of Garfield Show!